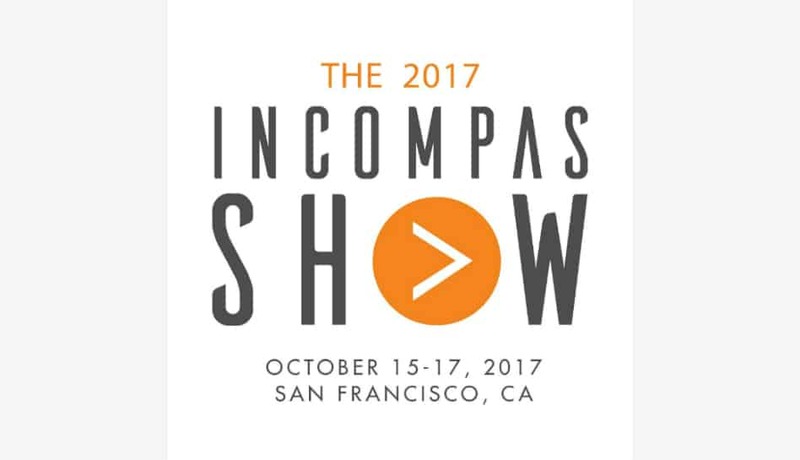 SAN FRANCISCO – September 26, 2017 –The INCOMPAS Show: Fall 2017 featuring the NEDAS Symposium today announces the availability of a press room at the event, extending an invitation to all accredited media interested in meeting with senior executives, thought leaders and influencers across the wireless and wireline industries. The event will take place October 15-17, 2017 at the San Francisco Marriott Marquis, located on 708 Mission Street in San Francisco. The INCOMPAS Show provides educational sessions and dedicated networking time that gives the media an opportunity to learn about new strategies and explore technologies and solutions designed to bridge the knowledge gap between wireline and wireless providers. Earlier this year, the organization announced that it would be collocated with the Northeast DAS & Small Cell Association (NEDAS), which will present a half-day of educational panels, as well as exclusive networking receptions, workshops and training sessions on October 17, 2017. NEDAS is an association of in-building wireless solution providers including Distributed Antenna System (DAS), small cell professionals, Heterogeneous Network (HetNet) solutions and end-users throughout the Northeast and Mid-Atlantic states. As the conference has evolved to become more diverse in its programming, organizers have put a new point of emphasis on information sharing in today’s fast-paced world. Newly introduced press room features include the “Submit a Press Release” form, enabling members, sponsors and exhibitors to share important announcements and business deals brokered during the show with top-level news organizations in the telecom industry. Sunday, October 15: 2 p.m. – 7 p.m.
Monday, October 16: 8 a.m. – 6 p.m.
Tuesday, October 17: 8 a.m. – 5 p.m. The INCOMPAS Show Keynote Session with Rep. Anna Eshoo (D-CA) will follow immediately after the Sunday workshop, at 5 p.m. PT. A full schedule of INCOMPAS Show educational sessions, panel discussions, networking opportunities, a Buyer’s Forum and nightly receptions and parties will follow on Monday, October 16, and Tuesday, October 17. Speakers include top executives and subject matter experts from companies including Adtell, ADTRAN, Ciena, EdgeConneX®, Engine, eX2 Technology, Google, Lightower, Microsoft, Multiplied Networks Inc., NextEdge Networks, Sonic, Sprint, Steel in the Air, TPx, TSI, Uniti Fiber, VeloCloud, Windstream, Wireless 20/20, Zayo Group and ZenFi. To learn more about The INCOMPAS Show: Fall 2017 featuring the NEDAS Symposium, visit show.incompas.org. For press credentials, please email INCOMPAS17@imillerpr.com.